Here’s the thing: White skirts are one of those pieces I want to start wearing every time spring and summer roll around. But I can’t really bring myself to invest very much in them. Without fail, my white skirts end up getting dirty after just one or a few wears—no matter how careful I might be with my morning coffee. So, my general rule is to make sure I don’t spend more than $100 when I buy a new one. The good news is there are a bunch of great affordable options on the market right now. From denim midis to leather minis to A-line versions, there’s one that’s sure to fit in with your personal style. But perhaps my favorites this season are the midi skirts with exposed button details. Paired with a cool sweater and block heels, it’s the outfit I want to wear on repeat right now. 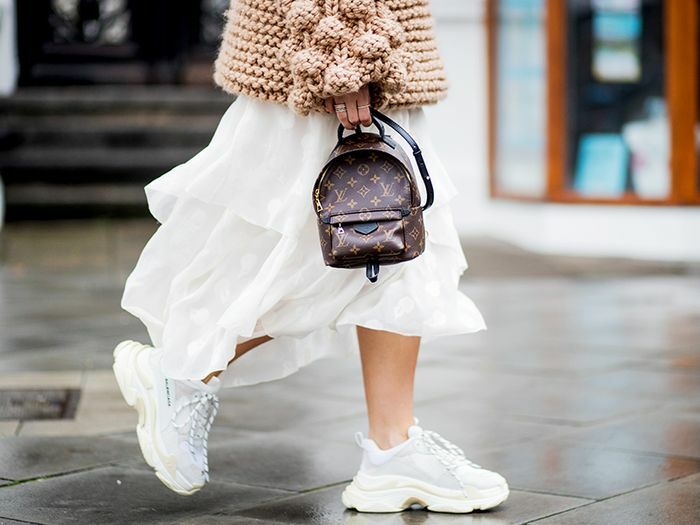 Here, shop the current best white skirts under $100. Available in sizes 14W to 26W. Available in sizes XXS to XXL. Available in sizes 10W to 22W.